How do you get a boat load of 19th century young men to agree to risking their lives (real big time) for nothing but a state salary and a pat on the back? You make them believe in something; in their country’s goals, in the knowledge and the power of the British empire, in England’s sovereignty; in a good seemingly greater than themselves. The Terror, produced in part by Ridley Scott for AMC, implicates the empire with this very insight. 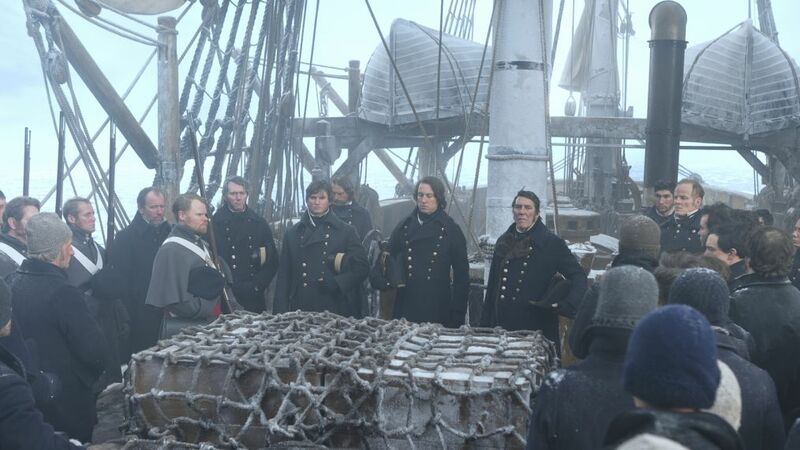 Over ten episodes the story of the crew on-board two Royal Navy ships seeking a Northwest passage to China is told. It’s a brutal survival story about mankind as well as the individuals will to survive. But moreover it questions societal motives and the reign of government over the individual. In one instant, one character, Dr. Goodsir is explaining to a beautiful Inuit girl why seventy-odd sexually-frustrated, violently afraid white men have descended on her peoples’ lands. They’re here to find a passage to China, India, he says, they’re here because of trade. Even as he says all this to the girl who doesn’t understand a word of English, you can tell by the tone of his voice he’s not sure if it would be any more comprehensible if she did. Risking real lives for the sake of economic gain? And the Brits have the audacity to call her a savage! The so-called ‘terror’ in the title has two forms, one more obvious than the other. What the men are terrified of is both the huge, white ice-dwelling beast that attempts to kill them at every chance and, also, the more intangible terror of dying. Maybe the former is really just a symbol for the latter. In fact, everything in this show can be viewed as a symbol of humanity’s futile struggle to live. Which is why it’s the best thing on TV since Tom Hardy’s Taboo, another story about irreconcilable evils committed in the name of man and society (but the hats alone make it a must-see!). The Terror is not a run-of-the-mill horror, it’s not out to make you jump or enable you to escape from the mundanity of life. In fact, it does the very opposite; it puts a mirror up to humanity and makes you question what you would do to stay alive. And, really, what’s scarier than that? If you like delving into darkness, The Terror is for you. It’s got hulking monsters clawing great chunks out of the main sails, it’s got arson, insights into pervasive loneliness, psychological instability, it’s even got some cannibalism and a good four or five deaths every episode. There’s a good guy and a very, very bad one and a few who show qualities of both. Then there’s Mr. Goodsir, who – if he’s not a symbol for humanity’s capacity for good – is then, simply, a very Good Sir. 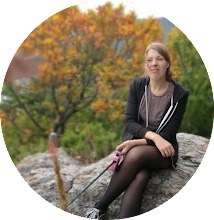 Hi, I'm Laura, creative freelancer and opinionated self-sabotager. Love the environment, hate Christmas and consumerism. Now living in Seoul, South Korea, because life is too short for British weather. "We're barely out of the jungle on this planet... What we are, is semi-civilised beasts, with baseball caps and automatic weapons."